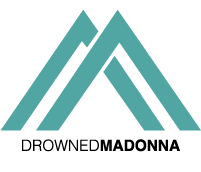 We at DrownedMadonna.com heard that Madonna arrived in Miami last night. As you know, tomorrow is the big day. Madonna..
Madonna is deciding her Clown outfit for her intimate concert in Miami to fundraise Raising Malawi. She posted on her..
We at DrownedMadonna.com learnt some juicy news about the awaited Madonna‘s event at the Faena Forum in Miami on December..
Josh Wood Productions has just announced that Sean Penn, Chris Rock and Ariana Grande will join Madonna on her Art Basel Miami Event for Raising..
Revolution keyboardist “Doctor” Matt Fink, a key member of Prince‘s Revolution told Billboard he enjoyed Madonna‘s Billboard Music Awards tribute to the..